We address not just abstinence from alcohol/ drugs, gambling and overeating but how to live in recovery. This involves understanding what needs the substance/behavior is meeting and developing healthy ways to meet those needs. Feedback from other members is supportive and insightful in developing awareness of self-defeating patterns of behavior and how to remedy these. This group has been ongoing for over 14 years with changing membership. The focus of the group is on realistic boundary setting inside of a relationship. 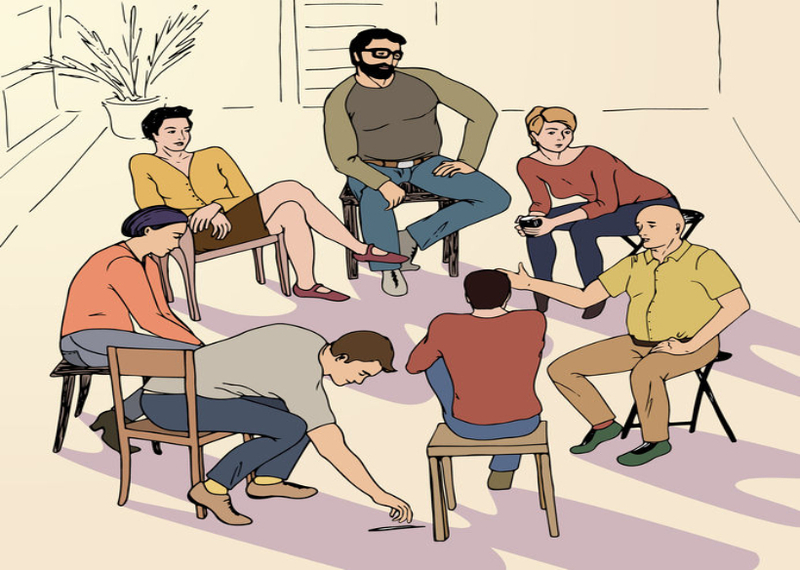 Group members learn how to tolerate uncomfortable feelings as they risk asking for what they want. Themes of recovery from living with an alcoholic, addict, depressive or otherwise difficult partner are explored. Laughter at oneself and enjoyment of the world are also cultivated. This is an ongoing group for the last 13 years with changing membership. A group on a non-diet approach to weight loss is being developed. A group on the use of breathing techniques and meditation to deal with anxiety is also being developed.